"Special Sale Items" are excluded from additional discounts or coupon codes. The 3/4 inch base heavy duty commercial grade brass impulse sprinkler is our Sime Koala model that is easily adjustable for part circle use or full circle only use. This is a heavy duty brass sprinkler that is not available in local stores and will give you years of worry free operation. With a heavy brass coupling we have adapted this nice sprinkler to our tripod stand. It comes with an adjustable jet breaker, and a 4mm and 5mm nozzle to accommodate a flow range of 3 to 10 gallons per minute and up to 90+ feet in diameter! Applications include large yard areas, vegetable or flower gardens, orchard or shrub areas, and much more! Again, unlike small store bought part circle sprinklers...this sprinkler is made to stand the test of time and use. Another great value for the price and a sprinkler that you will be happy to own! 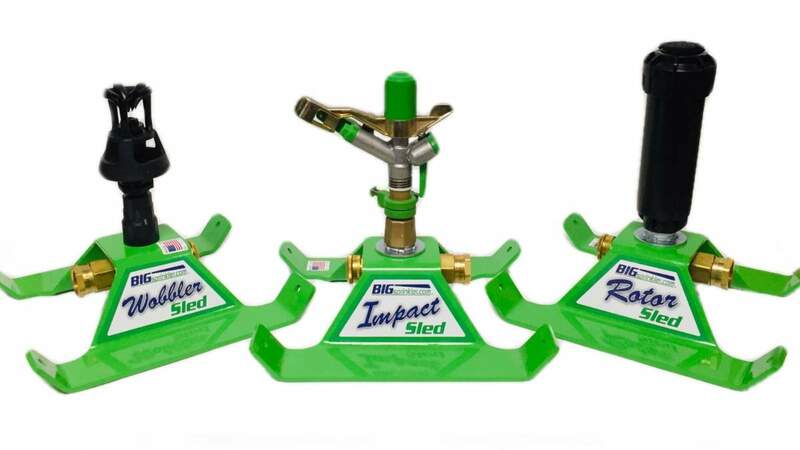 The 3/4 inch base heavy duty commercial grade brass impulse sprinkler is a great choice for general use on large areas where you need the sprinkler to operate continuously in a full circle. This is a heavy duty brass sprinkler that is not available in local stores and will give you years of worry free operation. It comes with two nozzle sizes, 4mm and 5mm to accommodate a flow range of 3 to 10 gallons per minute and up to 90+ feet in diameter! Applications include large yard areas, vegetable or flower gardens, orchard or shrub areas, and much more! Again, this is not a sprinkler that you will find in local stores and is a great value for the price!